Pariah in Transit is the first live album from internationally acclaimed roots reggae group Taj Weekes & Adowa. 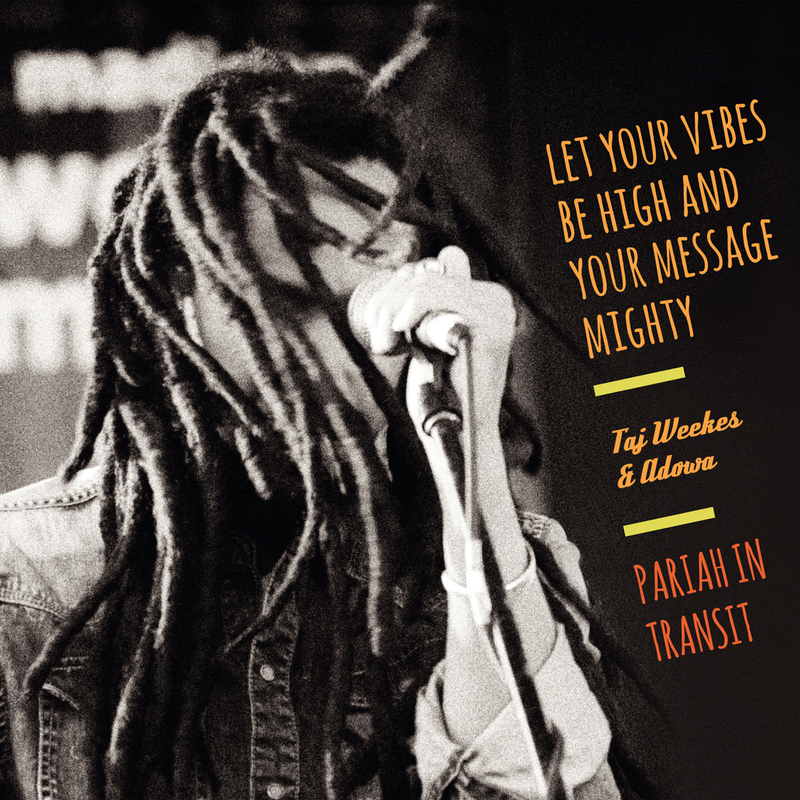 Jatta presents Pariah in Transit, the first live album from internationally acclaimed roots reggae group Taj Weekes & Adowa. The album, the band's fourth CD is a masterfully produced compilation of live performances. This soulfully delicious blend of organic, rich, roots reggae rhythms defines this band as one of the best in music today. Fans will instantly recognize classic tracks such as "Angry Language", "Little Fire", and "We Stand" as this album captures the mesmerizing intensity of their airtight performances and embraces Weekes' trademark adage after every show - "Let your vibes be high and your message mighty." Included in the collection of songs is a never before released track, "Jordan". Pariah in Transit is a must have album for any true reggae enthusiast and a fitting tribute to an already vibrant collection of works from the band's previous albums. Proceeds from the sale of Pariah in Transit will be donated to Weekes' charity, They Often Cry Outreach (TOCO - www.theyoftencryoutreach.org ) dedicated to improving the lives of Caribbean children through sports, health and enrichment programs.